Bananas get softer as they ripen. 4 Is Eating a Banana With Brown Spots Bad for You? While overripe bananas are too sweet and mushy to eat on their own, they're useful ingredients in foods like banana bread, but there comes a time when your bananas are simply too rotten to use in any way. Their soft skins only do so much to protect them from dangerous pathogens and insects, so if you notice any of the signs that your bananas are too rotten to cook, play it safe and throw them away. Because bananas are soft inside and out, they are susceptible to certain threats that make them unusable. Fruit flies, for example, become more and more attracted to bananas as they become overripe. They don't just feed on them, either -- they lay their eggs in them. If you notice fruit flies around your bananas, you need to throw them away. Your bananas may also start to mold as they rot, so look for spores on the surface of the peel. Mold on a banana peel looks similar to the mold on bread, and if you see it, the bananas have to be thrown away. 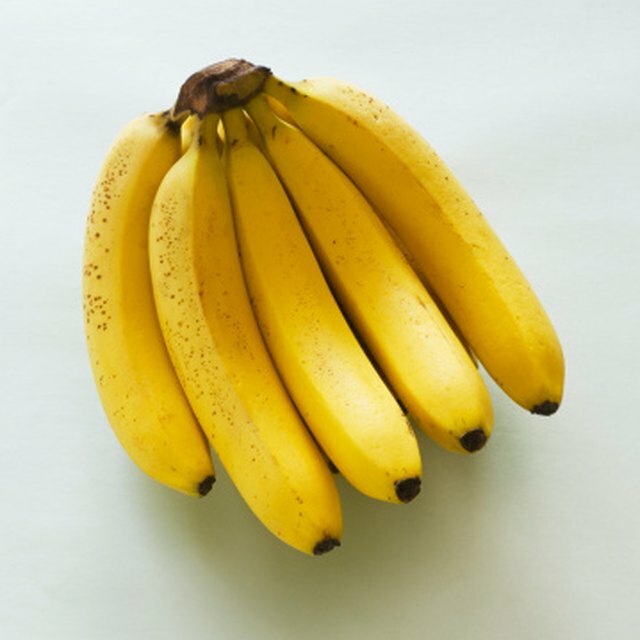 This is because they are too soft inside to fight off pathogens, which spread throughout the banana even if the mold is only visible on one part. Bruised and overripe bananas are particularly prone to infection and fungal growth. The New York Times: How Do Fruit Flies Find Fruit on a Countertop So Quickly? Baylor College of Medicine: After Cutting Off the Mold, Is the Remaining Food Safe to Eat? Salte: Is It Safe to Eat Damaged Fruit?